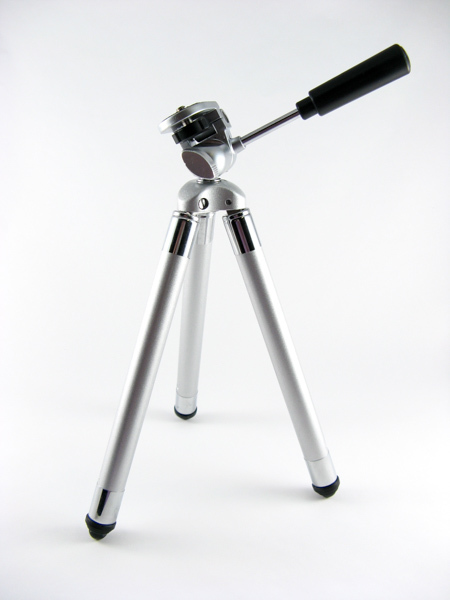 A camera tripod can make photographing your jewelry heaven or hell. When you set out to do macro photography on jewelry you are heading down a bumpy, lonely road. 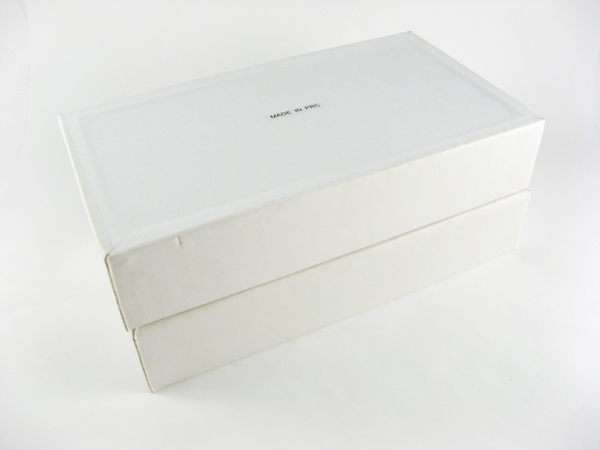 There’s a little information out there about photographing tiny, shiny things but it’s still going to be trial and error when you set up your table top studio. A lot depends on the camera and tripod you are using. 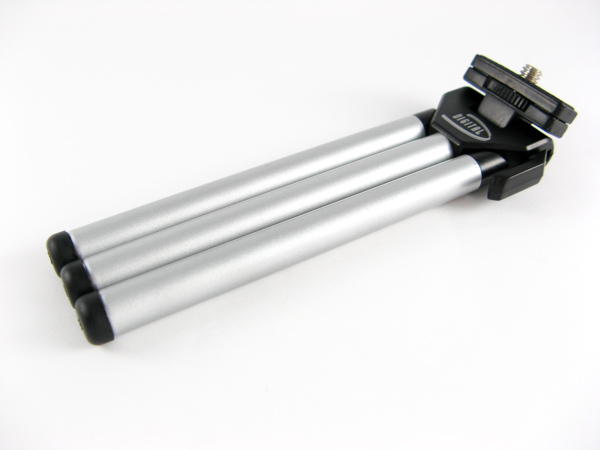 I've tried lots of different camera tripods like; the regular tripod with adjustable legs that stands on the floor, or the table top tripod that is sturdy enough to hold a camcorder, and the mini tripod that isn’t so sturdy but is very versatile. The regular tripod has the most bells and whistles of all these tripods, but do you need all these features? And do you have the floor space? What I found with this tripod is that I cannot zoom in close enough to my jewelry unless I invest in another lens. I'm using a Canon Power Shot A700 digital camera which is a sweet little camera. I wanted a Canon Digital Rebel XT but it was out of my price range. So, on to the tabletop tripod...I found this in the clearance isle at Wal-Mart. 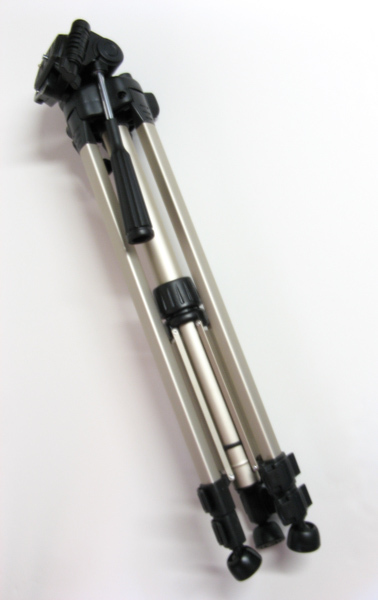 It is sturdy enough to hold a camcorder so you will not have any problems with blurry pictures when you snap the shot. It’s 10" tall with a camera mount that's comparable to the regular tripod with one exception. It doesn't have a removable mounting head. Once the camera is screwed to the tripod the only way to remove it is to unscrew it. This isn’t a problem as long as you can get the memory card door open. The tabletop tripod has lots of adjustments that allow you to shoot photos of your jewelry at many different angles. And once you get the camera at the angle you want you just twist the knob to lock it there. This is a great camera tripod but it is a little too high for me. I want to be able to arrange my jewelry on a flat white background and not have to deal with props and risers like when using my cloud dome. 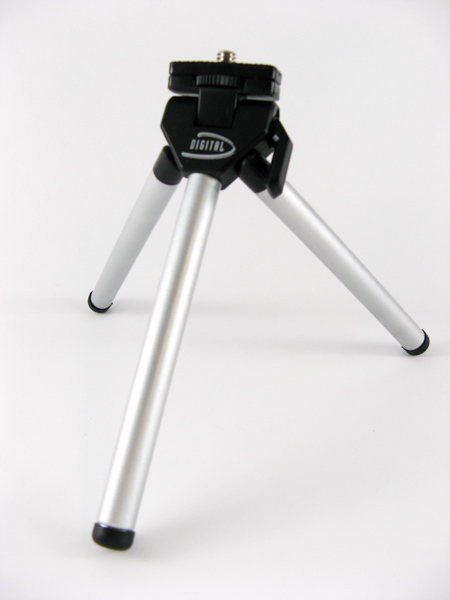 So, on to the mini tabletop tripod...I found this little guy at Staples. It's 5 ½" inches tall. It's not as sturdy as the other two tripods but it does have an adjustable head that allows me to tilt the camera up and down and lock it into place. Sometimes I fold the legs up and use them as a handle to hold the tripod while I steady my hand on a bracelet display block. I'm always on the lookout for tabletop tripods. I'll probably buy another one soon. I'm looking for one that's 2" tall with a ball head and locking adjustments. I've been thinking of trying the UltraClamp clamper pod. You can clamp it to a block of wood or the table edge. They even make one that clamps to a pole, called the SuperClamp. I've also been looking into getting a nice camera mount with all the adjustments and making my own camera tripod or base. Who says it has to have legs? I just want to get in close to photograph my jewelry.